Peggy and I went scuba diving in Belize. 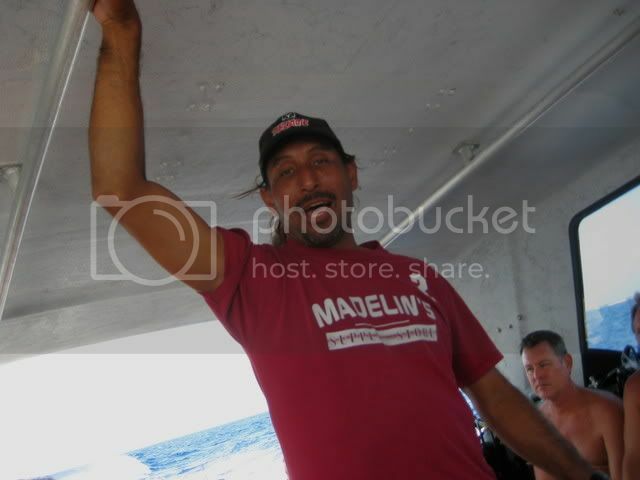 Tiko was our divemaster. Hey! James and I dove with him on the HolChan Cut!